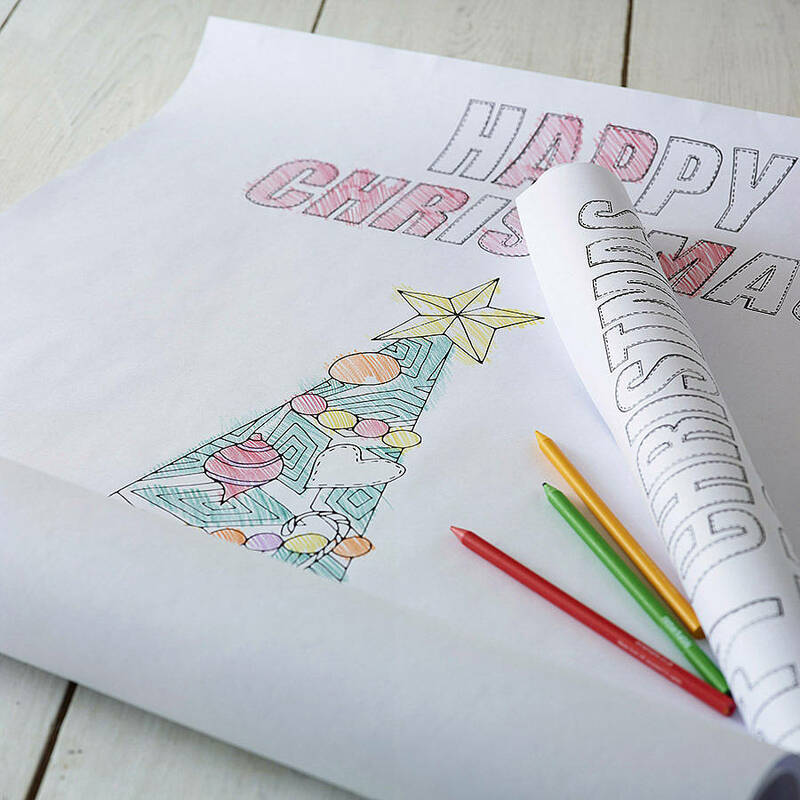 A life size Personalised Colour In Christmas Tree Poster crammed with seasonal toys and decorations, and topped with a festive star. 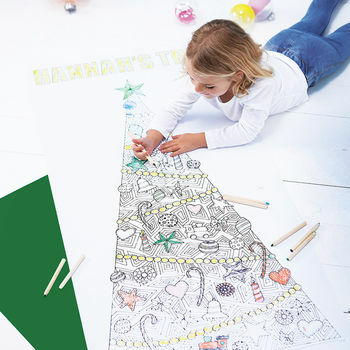 Hours of entertainment and great fun for all with our Giant Christmas Tree Poster, especially for the children. A fantastic addition to the family festive decorations. 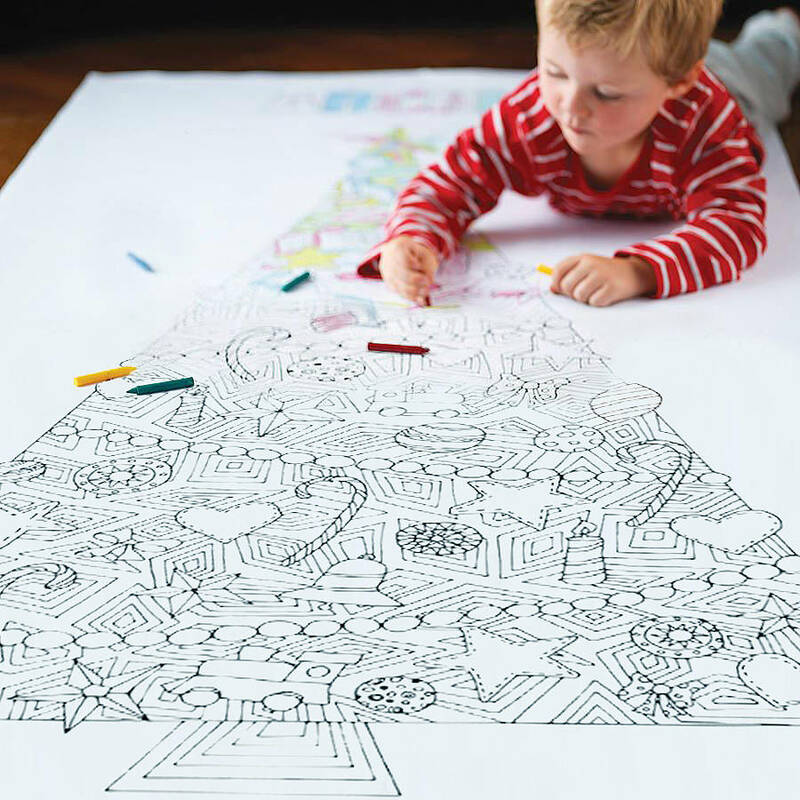 You can also use it at Christmas parties and get all your guests to colour in and decorate up on the wall or on a table. Add sparkles or stickers for extra ornament! 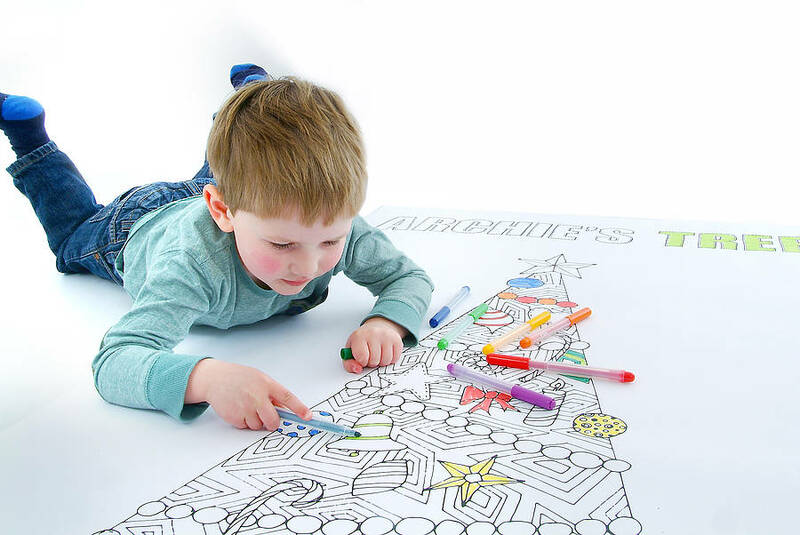 A fantastic scene setter and space saving tree ... the poster can be personalised, for example: 'HAPPY CHRISTMAS FROM THE SMITH FAMILY' or 'AMELIA AND ARCHIE'S TREE'. Please type in your personalisation in UPPERCASE. Please note that the font used is a specially created hand illustrated font to suit this design and some alternate characters and glyphs may not be available. If you require such characters a similarly shaped substitute outline font will be used instead. Option to purchase a pack of colour in stickers with product. 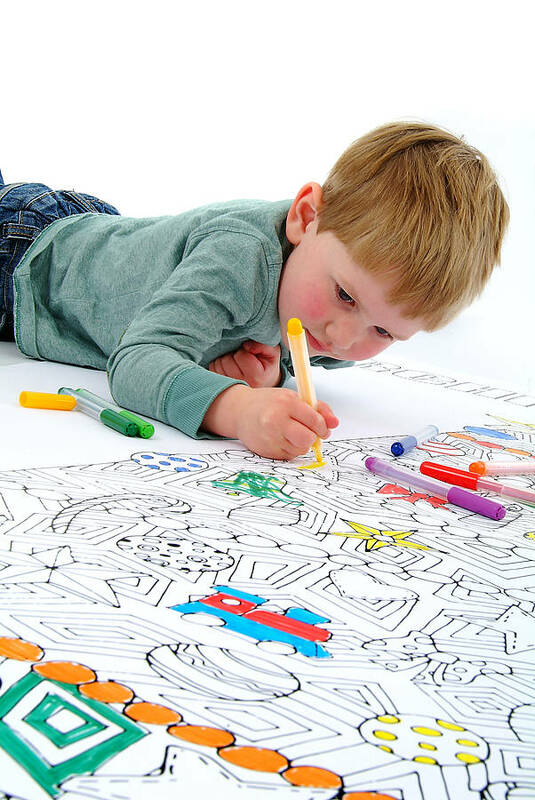 A4 sheet with 15 colour in stickers (see photos) Purchase more than one sheet for discounted prices. 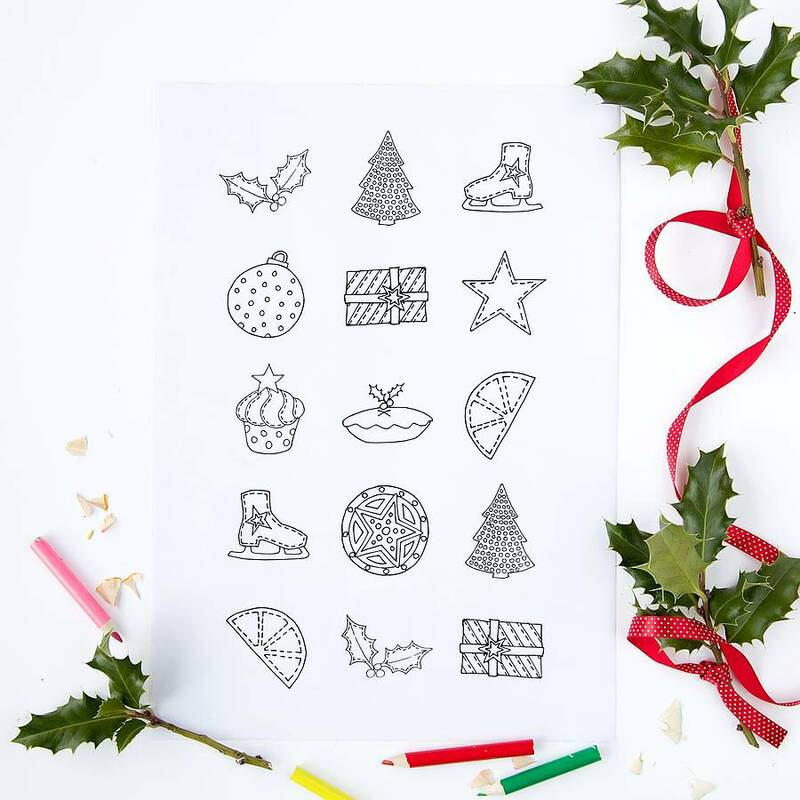 Use the stickers to stick up the poster on your wall or to decorate your tree further! 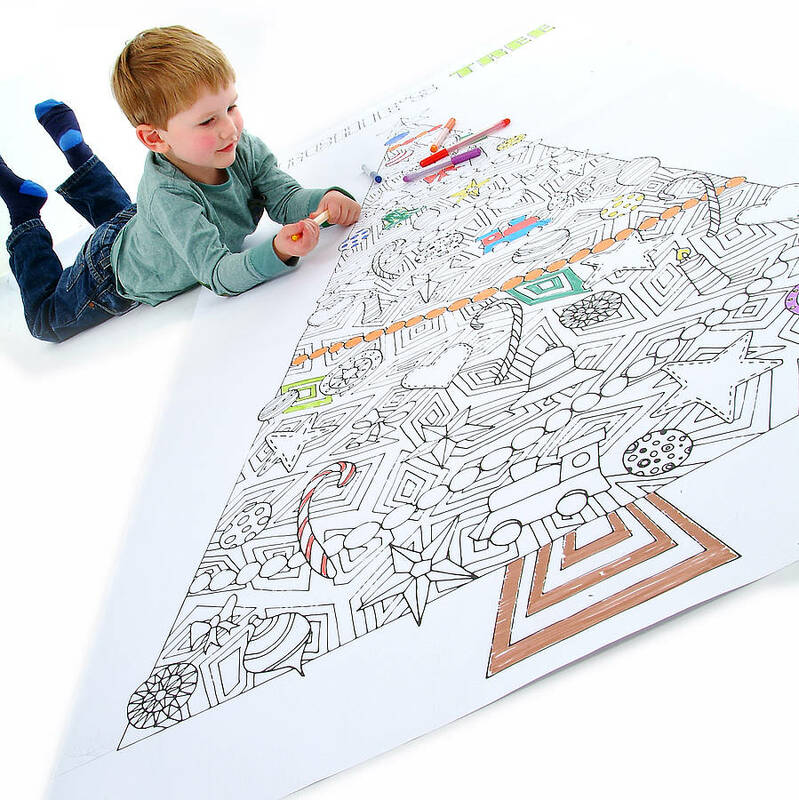 The giant colour in christmas tree poster 6FT size - has now been discontinued.